STAY SMOOTH WHEN THINGS GETS ROUGH. ROCKS, ROOTS, RUTS—WHATEVER COMES YOUR WAY, YOU’RE READY WITH REIGN 27.5. Featuring 160mm of smooth and active Maestro suspension travel, an ALUXX SL aluminum frameset, and cutting-edge 27.5 wheel technology, Reign 27.5 shines brightest when the trail gets rowdy. It’s strong enough to tame aggressive terrain and efficient enough to conquer climbs with ease. 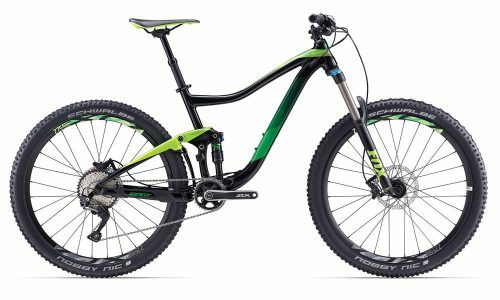 Stable geometry, a tapered OverDrive steerer tube design and air or coil shock-compatible shock mounts make Reign 27.5 the choice for aggressive trail riding and enduro racing.